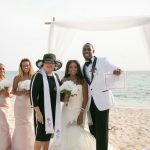 When this Dallas, Texas couple contacted Simply Weddings, Grand Cayman Wedding Celebrants and Planners they had done their research. They were already familiar with our website, this blog and our Facebook page. 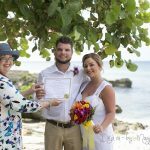 They knew they wanted their morning wedding at My Secret Cove, and both wedding photos and our tropical bouquet was important to them. This morning Peggy and I were understandably worried since we have been having a tropical disturbance with some very heavy downpours. 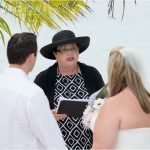 Fortunately, Peggy got the paperwork done really early, and the ceremony began shortly before 10 a.m. We barely got the certificate signed and witnessed, and the couple back to the harbour when the heavens opened. ( Naturally we had a Plan B, in case of rain). The upside of this overcast morning? Great light for Mari's photos, and a deserted beach for our bridal couple. 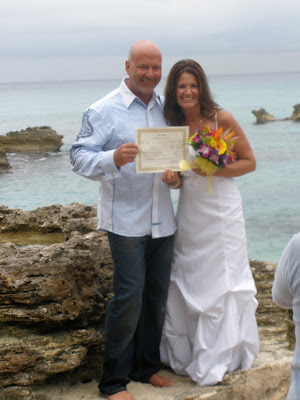 A cruise, a birthday and a wedding, all in one week ... lucky Groom! 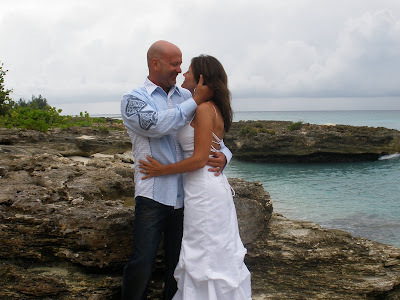 Simply Weddings- Grand Cayman Wedding Celebrants and Planners is a full service wedding company that caters to visitor weddings, and particularly cruise weddings which take place on the beautiful beaches of Grand Cayman. 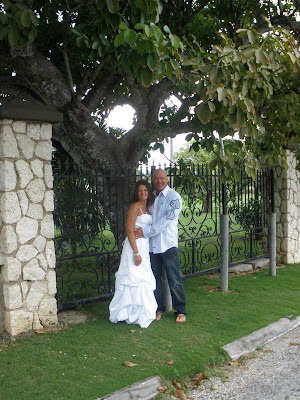 Our service is highly personalised, and we schedule only one cruise wedding per day. 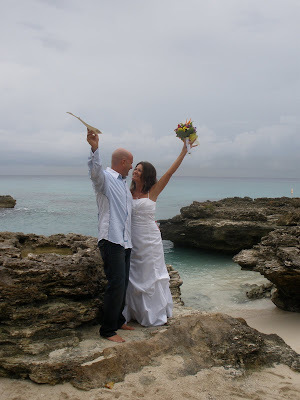 Our all-inclusive Cayman Cruise Wedding is value priced at less than US$1500. 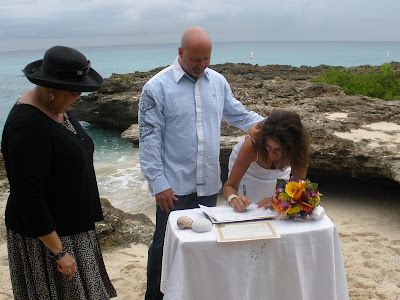 We specialise in small, intimate weddings with just the couple or the couple and a few guests. 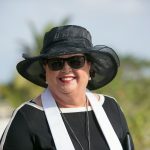 Our office is located less than a mile from the cruiseship landing, and our most popular packages include transportation. Call us today at +1 (345) 949-9933, or email us at mywedding@candw.ky Book your holiday wedding package today, prices slightly higher for Sundays and Public Holidays when special arrangements have to be made. These photos compliments of Peggy Moorhead, Wedding Coordinator at Simply Weddings. Official photo-package by Mari Abe of Island Photo. 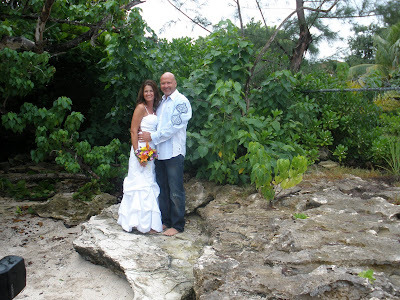 Video services also available through Simply Weddings vendors.